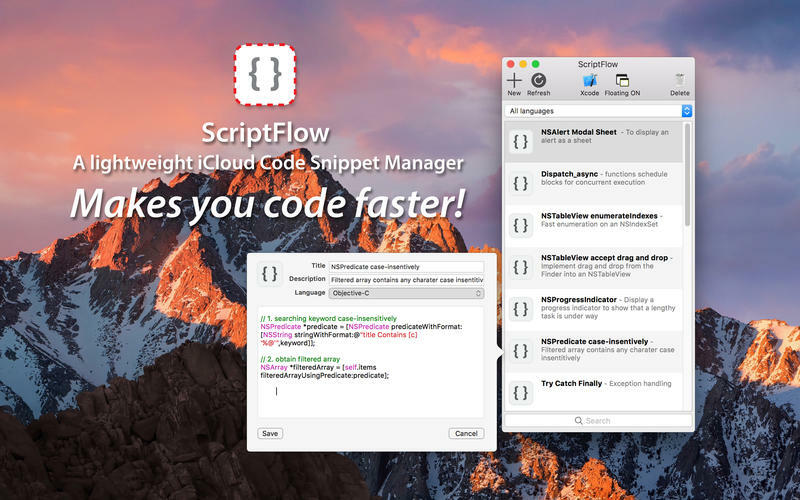 ScriptFlow for macOS is helper tools to keep your code snippets on iCloud , simple and lightweight code snippets manager made for developers with ease of use. 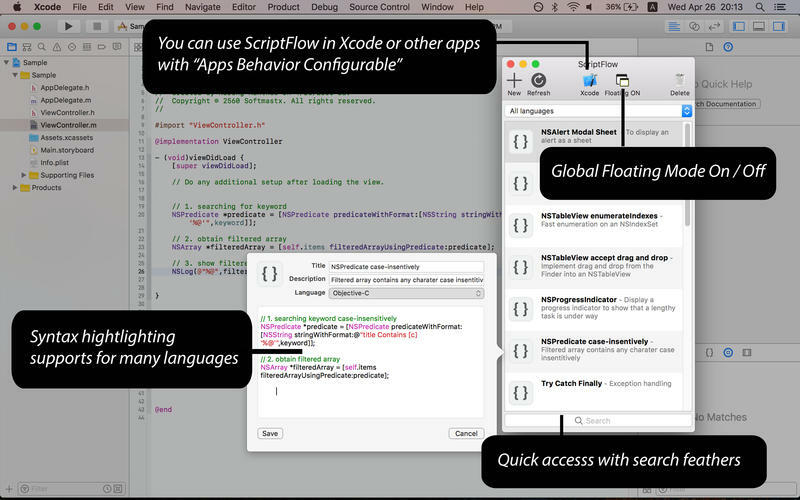 Securely stores your code snippets on iCloud, keeps them updated across all your devices. So you can access from all your devices anywhere. Syntax highlighting available for many language such as Swift, Objective-C, C, C++, C#, ASP.Net, Java, jаvascript, PHP, ActionScript, HTML, CSS etc. Floating Mode, speed up your coding with hover window while opening other applications. Drag & Drop Supports - It's very easy to create new snippet by simply drag and drop your code into view. Service Supports - you can also create new snippet from other apps, add keyboard shortcut using services. 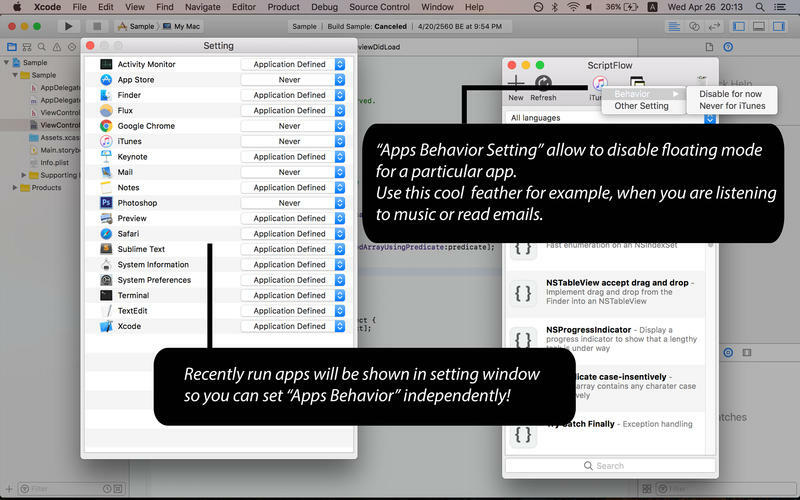 Apps Behavior - configurable floating mode for a particular app. Add "Tagging" you can now easily tag any snippets. Group Search , use the "@" symbol for searching snippets by language OR just use the "#" symbol for tag's name.